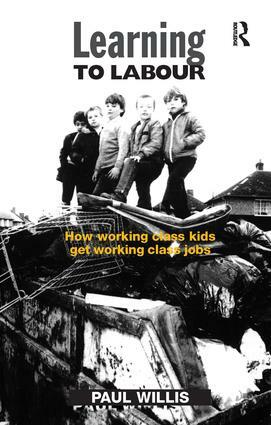 This book which has now established itself as a classic study of working class boys describes how Paul Willis followed a group of 'lads' as they passed through the last two years of school and into work. The book explains that for 'the lads' it is their own culture which blocks teaching and prevents the realisation of liberal education aims. This culture exposes some of the contradictions within these formal aims and actually supplies the operational criteria by which a future in wage labour is judged. Paul Willis explores how their own culture can guide working class lads on to the shop floor. This is an uncompromising book which has provoked considerable discussion and controversy in educational circles throughout the world - it has been translated into Finnish, German, French, Swedish, Japanese and Spanish.